When there’s a problem with your heating or cooling system, it can bring the entire household to a standstill. You need expert services when dealing with the HVAC system in your home to ensure that the job is done right, and done fairly. Here’s a look at some common problems with HVAC systems and how to get them fixed the right way. Discolored water: Brown hot water indicates the tank may be rusting. If you suspect a problem with rust, call the pros at Simpson Plumbing before the heater develops a leak. We’ll check the tank and suggest a remedy. 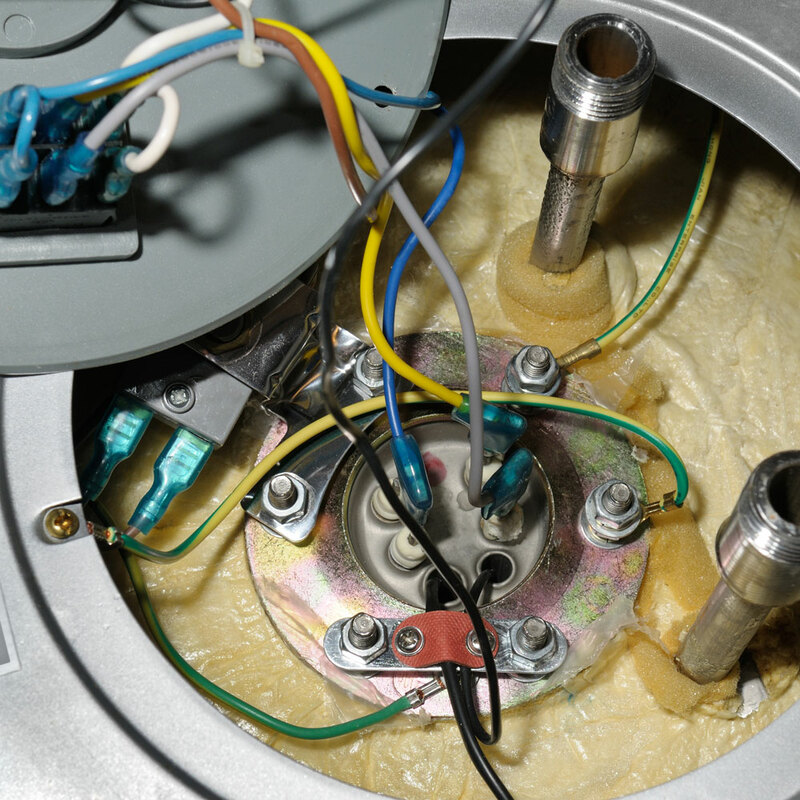 Rumbling noises: Sediment in a water heater tank causes the unit to rumble and may eventually damage the heating element or tank lining. A buildup of sediment is caused when naturally occurring minerals in the water solidify and settle. This issue will also require the work of a professional to ensure that sediments do not cause further damage to the system. Ice gathering along the coils: If there’s ice forming along the indoor or outdoor coils, this either shows that there’s a refrigerant leak, or that the coil has simply become overly dirty and needs to be cleaned. Heat pump is stuck in one mode: If your heat pump is unable to cool down or heat up, there are a number of possible issues with it. The common culprit, however, is usually a reversing valve that has failed. If this valve malfunctions for whatever reason, you’ll need to call a repairman to get the heat pump back in working order. It may get chilly in the wintertime throughout the Pacific Northwest, but when the sun shines around here, the heat sure is on. When it’s the middle of summer, the last thing you want is a busted air conditioner. 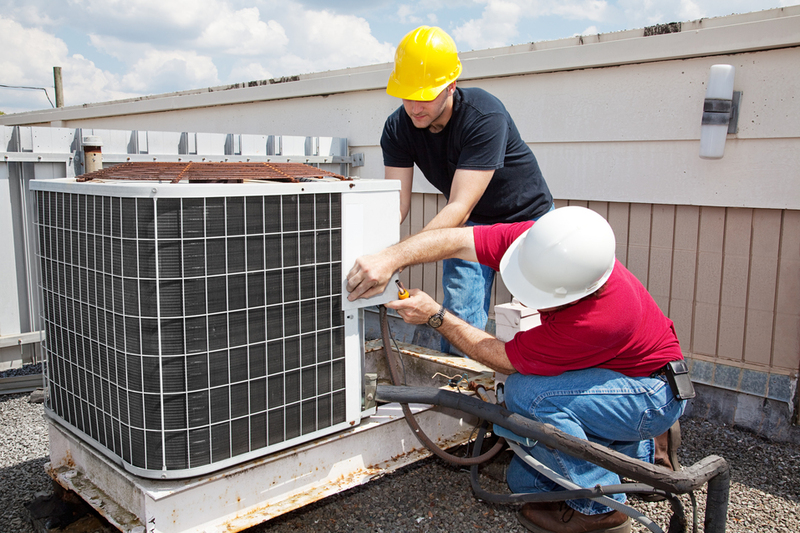 Take a look at normal wear and tear issues that may be affecting your A/C unit. Low refrigerant: There are two potential causes for low levels of refrigerant: undercharged at installation or leaks. You’ll need a trained technician to handle either situation. A professional repairman should be able to fix any leak and charge the system with the correct amount of refrigerant. Keep in mind that if there’s a leak, simply adding more refrigerant will not fix the air conditioner. Faulty thermostat: Thermostat sensors measure the temperature of air coming through the evaporative coil. If the sensor is pushed out of position and touching the coil, it can cause the A/C unit to behave erratically. To remedy this, carefully bend the wire that hold the sensor in place. The experts at Simpson Plumbing understand how important a functioning HVAC system is to your and your family. That’s why we seek to earn your trust through high-quality work, fair prices and honest evaluations. If you have a problem with a heating or cooling system in the home, call the pros at Simpson Plumbing today so the issue can be fixed as soon as possible.